Evaluate the way you cook. Match your kitchen setup with your lifestyle for maximum efficiency. If you like nothing better than spending your entire Sunday making everything from scratch for a big meal, keep your largest countertop surfaces free of clutter. Plenty of room for rolling out dough, multiple cutting boards and large bowls mean you never have to rearrange your work surface before diving in. Do you only go all-out on cooking occasionally? Identify the tasks you do complete in your kitchen every day, and arrange things to make those tasks easy. Before you put things away in your new kitchen, take a few minutes to stand in the spots where you’ll be doing your prep work, where you’ll be cooking and where you’ll be cleaning up. Group items according to where they’ll be needed most often, then work outward from there so that less-used items are out of your way. Everything should fit into one of three categories: daily, occasional or infrequent use. Designate centers or stations according to activity, a tactic that restaurants depends on for efficiency. Are you a frequent baker? Then you’ll want rolling pins, measuring cups and mixing bowls in cabinets above or below your baking work area. Have coffee every day? Keep cups, sugar and containers of coffee within easy reach of your coffee maker. Wall space is often overlooked when outfitting a kitchen. 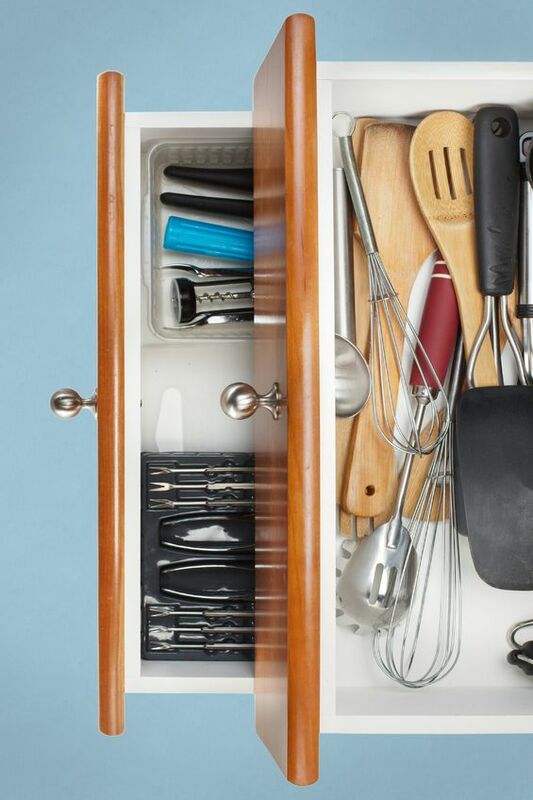 Consider the options: keep knives handy on a magnetic wall rack, hang pegs or racks to keep commonly used utensils at hand, or add hooks for pot holders and dish towels. Utilizing wall space above your counters helps open up drawer space, too. If some items are used frequently for more than one activity, consider getting two so you can have one in each activity station. This doesn’t mean having two large items like food processors, but smaller items such as two large mixing bowls may make good sense. 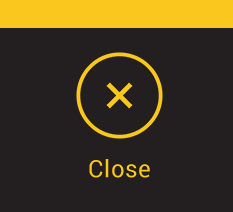 There’s no better time than now to weed out things you really don’t use. Apply the “donate, keep or sell” criteria to every item before you stash it out of sight. Do you really need to hang on to that chipped coffee cup with the donut shop logo on it? Be realistic when putting everything away and your beautiful new kitchen will be easier to keep that way. Plan ahead for organization with an experienced contractor. Still in the planning stages of your new kitchen? A qualified contractor from Contractor Connection can help make sure your kitchen looks its best while performing beautifully. Our contractors’ workmanship is backed by a three-year warranty, and every one has been vetted for the proper licensing, experience and credentials. 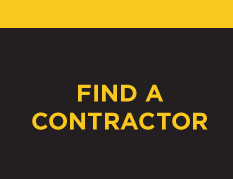 Start with a no-obligation estimate from a qualified contractor near you — simply enter your ZIP code at the top of the page.